Middle Grade: What’s popular this year? I’ve never had a problem creating story ideas. So far the three I’ve finished have been contemporary stories. I’ve got another one of those swimming around in my head along with a fantasy and one quirky historical fiction. It got me thinking and looking for the answer to the question proposed in this post. Are the genres of books I’m writing and want to write popular? I went right to my favorite source. No, not AMAZON, but The New York TImes best seller list for middle grade books. Their results encompass a far broader research base. The current list will be printed this Sunday, although you can already find it online. It’s an eclectic mix of genres. Fifteen titles and only six were ones I’d read. That might sound shockingly low for someone like myself approaching fifty MG titles this year, but not after you read the results. Two non-fiction titles appear, both from American Girl Publishing – THE CARE AND KEEPING OF YOU 1 & THE CARE AND KEEPING OF YOU 2. There are two movie spinoffs – FROZEN (A novelization of the movie) and a fun looking graphic novel, STAR WARS JEDI ACADEMY RETURN OF THE PADAWAN. Historical Fiction is well represented with two Rush Limbaugh titles, along with THE LONG WALK TO WATER and INSIDE OUT AND BACK AGAIN. Of course Rick Riordan makes the list with THE STAFF OF SERAPIS, a 60 page short story fantasy adventure. The six titles familiar to me: Three MG Contemporaries – WONDER, COUNTING BY 7’s, and OUT OF MY MIND, THE SCHOOL FOR GOOD AND EVIL (MG FANTASY), ESCAPE FROM MR. LEMONCELLO”S LIBRARY (MG Mystery), and THE ONE AND ONLY IVAN (Animals). None of the 2014 titles I have so far reviewed made the list, but that is to be expected. MG titles typically take time for librarians, parents and young readers to spread the word. The NY TIMES list did make me feel comfortable with my writing choices so far. Conclusion: Write your story and make it the best possible no matter what the genre. The list will look different a year from now. HERE IS A LINK TO THE FULL NEW YORK TIMES LIST FOR MG. This entry was posted in Book Lists and tagged MG best sellers, Middle grade. Bookmark the permalink. 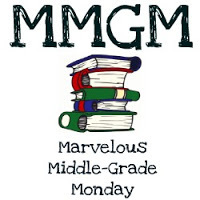 4 Responses to Middle Grade: What’s popular this year? Interesting. Of the fifteen on the list, I’ve only read one, and I read a LOT of middle-grade fiction. That said, I don’t always choose what is popular. There are some that are on my TBR list, but frankly things like Frozen and the Star Wars books will never be on my TBR list. Thanks for the links. I wouldn’t be interested in those two either. They get big backing from movie studios so they end up on the list – I’m sure because they have more exposure in many of the big box stores. I love the title, ESCAPE FROM MR. LEMONCELLO”S LIBRARY. It’s a fun story to read. Of course my favorite this year is still SORRY YOU’RE LOST. Keep up the great writing.